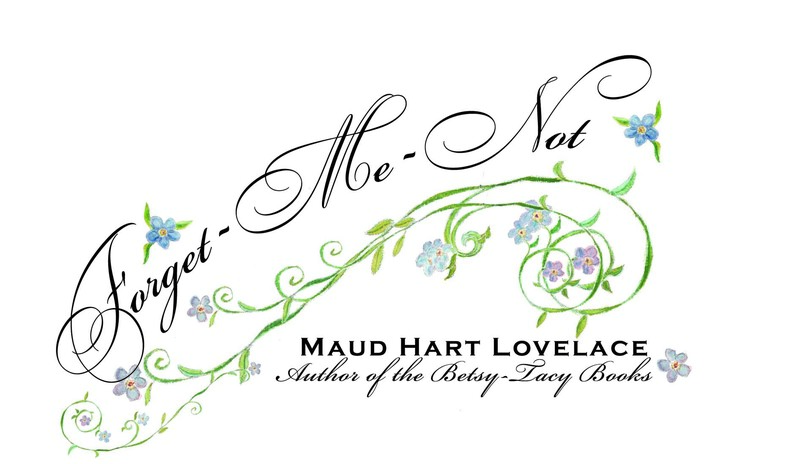 Remembering Maud Hart Lovelace, who passed away thirty-three years ago on March 11, 1980 in Claremont, California. After Maud’s husband Delos passed away in 1967, she continued to live in their Claremont home until 1970. She then made the move to the retirement community of Mount San Antonio Gardens in Claremont. In her declining years, Maud continued to receive vast amounts of mail from Betsy-Tacy fans, and she enjoyed responding to them all. On March 11, 1980 at the age of 88, Maud quietly passed away from complications of pneumonia, in the medical unit at Mount San Antonio Gardens. Even though Maud left Mankato in 1910, it was always her wish to be buried in her beloved hometown. Following a funeral service in California, Maud’s daughter Merian returned to Mankato with her mother’s ashes, and a second funeral was held at St. John’s Episcopal Church. She is buried in Glenwood Cemetery. A simple granite stone marks her grave. In 1999, a stone monument was erected by the Maud Hart Lovelace Society to honor the Mankato author. The memorial heading reads, “Beloved author of the Deep Valley Betsy-Tacy stories, other children’s books and adult historical novels.” Titles of Lovelace’s works are engraved on the front and back of the stone. Maud’s legacy continues to live on through her books. She will not be forgotten.